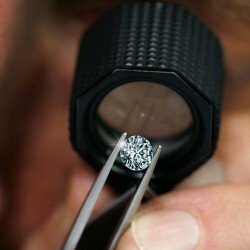 As expert gemmologists and diamond merchants, we are able to appraise your stones and jewellery in your presence in order to determine their features and value. If you have a diamond or diamond jewellery, you would like to be appraised, please make an appointment so that our expert gemmologists can determine the characteristics of your stones or jewellery in your presence. You will be informed of their value at the current market price. You will then have the opportunity to sell your stone or receive Replacement Value drawn up by us for insurance purposes. 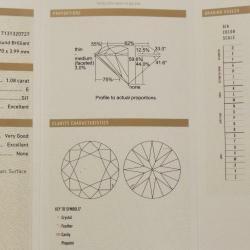 It is best to buy a diamond with its certificate to ensure the authenticity and quality of the diamond you have acquired. 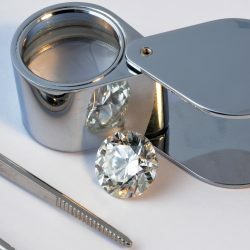 There are several simple tests that it is possible to perform at home in order to determine whether the object in question is a diamond or a cubic zirconia. Here are some examples that will help you see more clearly. 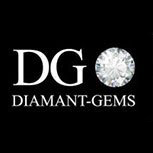 If in doubt, please make an appointment to have your stones appraised in either our Paris or Antwerp office.